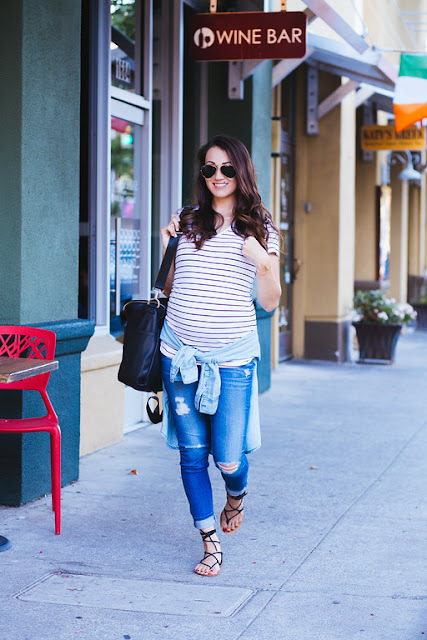 With a crazy toddler running around, most of my outfits nowadays need to be simple to throw together and comfortable, too. 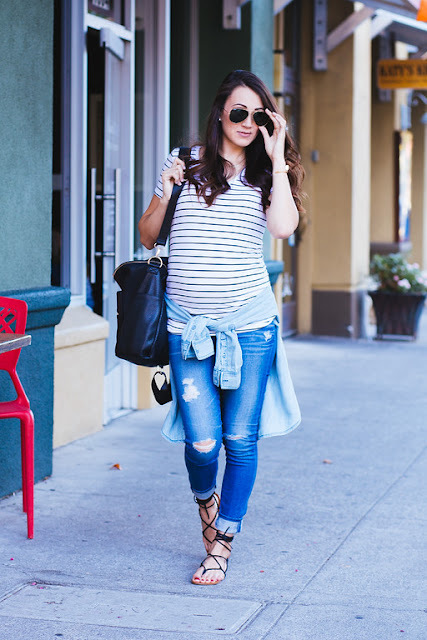 I love distressed denim paired with a simple t-shirt and am OBSESSED with these adorable jeans from A PEA IN THE POD. They're comfortable and can be worn so many different ways. 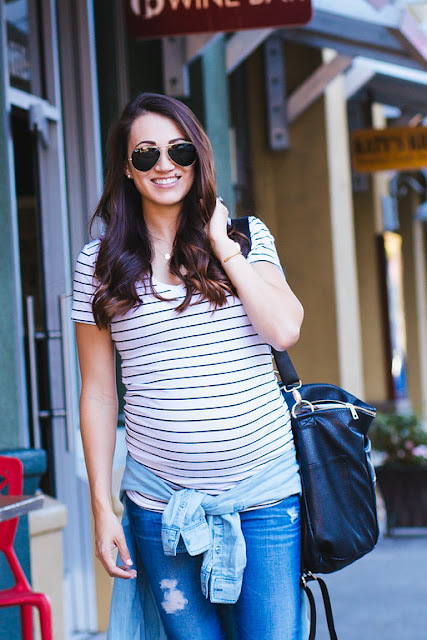 Perfect for this low-maintenance, preggo mama!